When the LORD your God brings you into the land that you are about to enter and occupy, and he clears away many nations before you . . . and when the LORD your God gives them over to you and you defeat them, then you must utterly destroy them . . . and show them no mercy (Deuteronomy 7:1-2). Today, students in my course “Old Testament Theology” will attempt to provide Cowles with an answer. Cowles’ question is very difficult to answer, and judging from the preliminary response from my students, they disagree with Cowles, but do not provide an answer to the issue he raised in his article. Many Christians struggle with passages in the Old Testament that present a view of God that seems to contradict the God that appears in the pages of the New Testament. Many Christians do not have an answer for those who challenge the loving character of the God of the Old Testament and are unable to reconcile those stories of war and violence that are narrated in the Old Testament with their Christian faith. One problem with Cowles’ interpretation of the violence in the Old Testament is his assertion that what the New Testament says about God is more important than what the Old Testament says about God. Cowles believes that what Jesus said about God is the way Christians should view God. To Cowles, the Old Testament reveals a God of wrath, but Jesus reveals a God that is a God of love and peace. Cowles believes that Jesus presents an accurate revelation of the true God of the Bible. According to him, Christians should not believe what the Old Testament teaches about God in general, but what Jesus teaches about God in particular. Cowles wrote: “The God portrayed in the Old Testament was full of fury against sinners, but the God incarnate in Jesus is not” (p. 28). One reason for Cowles’ critical view of the God of the Old Testament is his low view of the authority of the Old Testament. Cowles believes that the Old Testament distorts the true character of God. He said that many of the events of the Old Testament do not reflect the true nature of God, that is, what Moses and Joshua commanded the people to do “are incompatible with the nature and character of God as disclosed in Jesus” (p. 42). 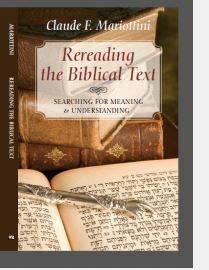 Cowles wrote: “This raises a critical question regarding the inspiration and authority of the Old Testament: If Moses and Joshua misunderstood the will and purpose of God in the reference to the Conquest, then what parts of God’s self-disclosure in the Old Testament can we trust?” (p. 40). It is evident that Cowles has a low view of the relevance of the Old Testament for a Christian understanding of God. If we accept Cowles’ view that Moses and Joshua misunderstood God’s purpose for the conquest, then how can people trust what the rest of the Bible says about God? Most Christians believe in the inspiration and the authority of the Bible, and that includes the Old Testament. When Christians proclaim the authority of the Scriptures, they also acknowledge that the writings of the Bible are a work of human authors, containing different literary forms, a work that reflects the attitude and cultural context of the people who wrote those books that form the Hebrew Bible. The authority of the Bible also implies that the Bible reveals the character and nature of the true God and that we can trust what it says about God. In short, Christians accept the authority of the Bible because they trust the God who revealed himself in the history of ancient Israel. What Cowles fails to understand is that Jesus himself speaks of a God who is a God of judgment as well as a God of mercy. It is in his mercy that God keeps reaching out to men and women, even when they rebel against him. It is in his righteousness that the God of the Bible, the same God who is the God of the Old Testament and the God of the New Testament, is spoken of as the righteous judge who will bring judgment upon wicked people. In a forthcoming post, I will give my answer to the main question Cowles raised in his article. In the mean time, I welcome your reaction to Cowles’ views. How would you respond to Cowles’ question? This entry was posted in Hebrew Bible, Hebrew God, Old Testament and tagged C. S. Cowles, God’s Wrath, Hebrew Bible, Holy War, Old Testament, Radical Discontinuity, Violence. Bookmark the permalink. Cowles is right in pointing to Jesus as the clearest revelation of God (even James and John abandoned their attempt to mimic Elijah when Jesus chastised them for it). However, Cowles seems to overlook the exalted view Jesus had of the Scriptures (what we call the Old Testament). What we must seek, therefore, is not merely the ethic of Jesus (as Cowles would rightly counsel) but also the hermeneutic of Jesus, which allowed Him to find His ethic in the pages of the Scriptures. There is no doubt that in Jesus we have a clear understanding of who God is. As the Bible says, the Logos, who was God, became a human being. In the Incarnation we meet the God of the Old Testament. Cowles is wrong in his view of God. His view does not agree with the revelation of God in the Bible. Read my next post on this topic. I have not read Cowles. But I find the Old Testament filled with God’s Grace. Over and over in Genesis God give grace. Even to Cain, as I read it, God provided the mark upon him so that he would not be kill. Cain’s actions had consequences for him and even that God protects him. 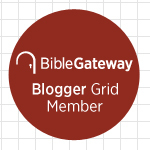 I think that God in the Old Testament demonstrates grace just as the God of the New Testament. There are things I don’t understand, perhaps I/we are not meant to understand it yet. But I still think that the Old Testament is just as important as the New Testament in our spiritual journey. I agree with you 100%. People who do not find grace in the God of the Old Testament do not know the Bible. God is a merciful God and his mercy, his wonderful hesed, is expressed in many ways throughout the Old Testament. Amen to that, but just wondering if your second sentence, above, has a vital word missing. Thank you for your comment. I read that sentence again and did not notice anything missing. What do you think is missing? Could it be that the God of the Old Testament changed? and that is why Jesus is more about the least of these…. more about the people, Jesus does seem more loving, not just the hell and damnation as the God of the Old Testament, appears…..
Yes… he is of God, but he does seem much different, thru Jesus in the New Testament. I think he changed, he changed his mind, and his approach- to mankind. I believe the way you do. When we say that God changed, people get mad and say that you are misrepresenting God. But the fact is that God has changed the way he deals with human beings many times, and in Christ we see a radical change in the way God deals with us. I am glad you were able to see this; let us hope others will see it as well. Thanks, Professor, I’m really looking forward to your follow up. Part 2 is coming on Monday morning. Neither word nor the concept of ‘hell’ appears in the Hebrew Bible/Old Testament. There is a general concept of Sheol, but both the righteous and the wicked go there. The concept of ‘hell’ that most christian have comes not from the OT/Tanach but from the NT. In the NT there is a place call Gehennah, which was basically a garbage dump where things were burned up. Jesus used the image of Gehennah to allude to the final punishment of the wicked. We, don’t because there is no need to do so. Allow, me to explain. Firstly, the protagonist and audiences do not match. Secondly, the context we find ‘utterly destroy’ and ‘love you enemies’ is entirely different. We, find God speaking through Moses to a nation(or what would become one) about their political activities regarding another nation. The instruction to ‘utterly destroy’ was not given to individuals but to corporately to a national entity. These instruction were not given to modern Jews nor to Christians but only to ancient Israel in that specific time period. The ‘utterly destroy’ them of Duet 7:2 is in the context of war(conquest) and in displacing native population not necessarily genocide, notice immediately following that command is command not to intermarry with them and author further identifies the ‘them’ Israel is to destroy with their idols, altars, and columns. The point being that the people will not be lead astray to follow foreign gods. When we read of how Joshua carried out these commands in chapter 11 of the book of Joshua it becomes clearer that what was has little to with killing of races/ethnicities. 22 No Anakites were left in Israelite territory, though some remained in Gaza, Gath, and Ashdod. Joshua did not have everyone killed, but he did have them removed from Israel and although some continued to live in other areas “ just as the LORD had promised Moses” (Jos 11:23 NET) implies that Joshua correctly understand the LORD’s commands found in Duet chapter 7. In the New Testament Jesus address not the pre-exilic nation Israel, but rather individual members of Israel that had been exiled from the land and are no longer in possession of the Land but are being governed by Rome. Natural, his message is different, because he is address an Israel that is continuing to endure punishment and/or trial. However, he is also different because he has come to pay for the price of their offenses against the instructions of God found in the Pentateuch. God is both merciful and Holy in judgment at the same time. God is merciful in providing forgiveness in both the Hebrew Bible and the NT also forgiveness is need because God is just! Or, one could simply look at the Jesus in the book of Revelation and notice that he is not the mild and meek Jesus they think they know from the gospels. You have good points in your comment although I do not agree with everything you wrote. Please, read my second post on this issue. My post will be published on Monday. My second post on this topic will be published on Monday. Thank you for waiting. I think Curryanne is on the right track, but another thing I would suggest is that we too often come to the text with our own cultural biases, such as that love is sentimentality without judgement. We neglect that justice and judgement are other attributes of God, and that without considering them, we cannot have a full understanding of His love. You are right, and this is the emphasis I make on my second post. My second post will be published on Monday. Just because some people escape God’s murderous tendencies does not make God merciful. It’s just circumstance. God tells them to burn a priest’s daughter alive if she profanes herself by being a whore. Yet, if a man rapes an unbetrothed or unprotected virgin, all he has to do is marry her. God reveals nothing in the OT. Prooftexting will not convince those who have been supposedly led astray or who actually know the text. And cliches like us not understanding are unnecessary. We understand this stuff, we just choose to make excuses for it or pretend God had anything to do with it. I contend the best revelation of God comes from those who finally realize these ancient texts reflect their mindset only – not God’s. Your opinion of God and how he relates to his people reflects a real lack of knowledge of the culture and society of ancient Israel. If you truly understood the religious, social, and cultural values of ancient Israel you would not make the mistakes you made in your statement. Thank you Dr. Mariottini. Great debate here! We, too often, overlook the dynamics of continuity and discontinuity between the two Testaments. The fact is the Prophets and the Law are fulfilled in Christ. Therefore, there is no antagonism nor contradiction between the two, but rather the intentional intensification of God’s revelation as it is manifested in Jesus the Christ, Emmanuel. In this context, Paul indicates clearly in his epistle to the Corinthians that all things become a new creation in Christ. Furtheremore, the author of Hebrews testifies that “The former regulation was set aside because it was weak and useless.” These affirmations underscore radical ramifications regarding the relationship between the Old and the New Testament. Nonetheless, Peter wrote: ” I want you to recall the words spoken in the past by the holy prophets and the commands given by our Lord Jesus-Christ”. In the same vein, the book of Hebrews: opens up harmonizing the Old with the New: ” In the past, God spoke to our forefathers through the prophets at many times and various ways, but in the last days he has spoken to us by his Son… ” God, being sovereign, employs different means, at different times but for the sole purpose of his glory and good will. In conclusion, although we may not be able to reconcile all God’s actions or methods throughout his revelation, we are compelled to distinguish without separating the two sets of revelations which complete each other where the first prefigure the second and the latter accomplishes the first. Thank you for your comment. Please, read my answer to Cowles. My second post will be published on Monday. 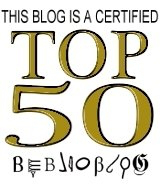 Thank you for your comment and for visiting my blog. Thank you very much for the correction. You were right, the word was missing in my comment. I have correct it so that future readers may read what I intended to write. Sorry, to be clear, Tamar was able to escape being burned, because the person who got her pregnant was Judah. Still, the fact that he intended to burn her alive in the first place speaks volumes about the religious and cultural values of the society – values that apologists never address. First, let me apologize for the delay in answering your comment. I stopped blogging for a while and then worked on my new web page. It has taken me several days to answer all the comments in my blog. I really appreciate your comment. Thank you for the link.My blog has moved to my new web page. My new site is https://claudemariottini.com/. I would appreciate if you would update your blogroll.